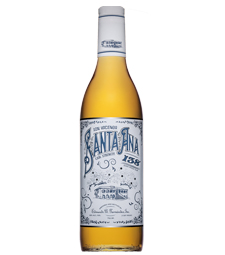 Taste: Ron Hacienda Santa Ana is masterfully blended to feature very balanced fruit notes, not an easy feat to achieve for cask strength rums. As a result, it works exceptionally well in cocktails and mixology. Even for a cask strength rum, Ron Hacienda Santa Ana is exceptionally silky, crafted by our Master Blender. The land where Hacienda Santa Ana is today was bestowed to Fernando Fernández in 1787 by the Spanish Crown. Over the next centuries, Santa Ana would become one of the most important places for rum making in the world. Ron Hacienda Santa Ana pays homage to this mythical place in spectacular fashion: an unbelievably smooth cask-strength rum at 138° proof. Not your average cask-strength rum.